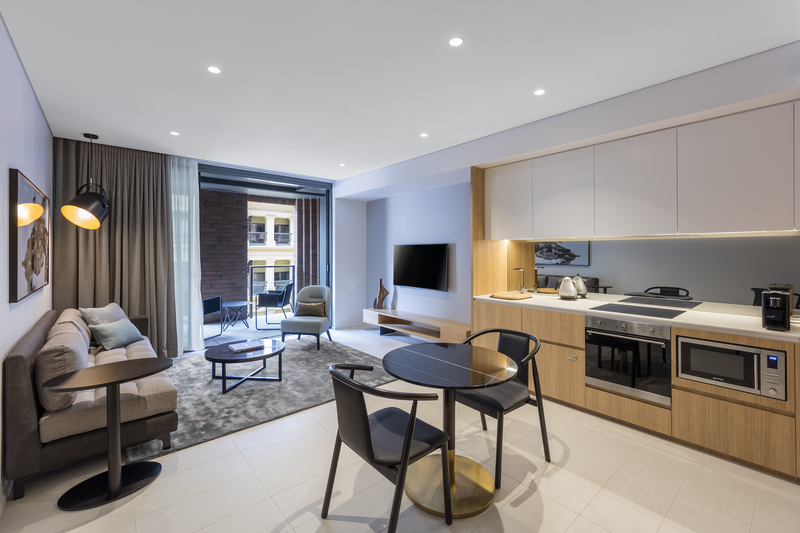 SKYE Suites Sydney, the city’s newest luxury serviced apartments in the CBD has opened its doors this week catering for both short and long-term stay guests. Located at 300 Kent Street, the highly anticipated 25-storey multi-residential tower has set new benchmarks in architectural excellence and luxurious amenities for visitors seeking a stylish serviced apartment option. The luxury hotel apartment rooms available in SKYE Suites Sydney comprises of 73 rooms from studio suites and two bedrooms suites. Committed to luxury experiences for guests, each superior-sized apartment suite features timeless interior finishes, complete with Delonghi appliances, Vittoria coffee machines, Kevin Murphy toiletries and hair care products, complimentary Wi-Fi, laundry facilities, private balconies, pre-stocked mini bar and a bespoke bedding firmness menu. The modern facilities will delight the most seasoned business traveller with a state-of-the-art gymnasium and pool. SKYE Suites Sydney intends to lead the way in technology, and design-led serviced apartments within the industry, allowing guests to download a mobile phone application, SKYE Suites, and access their rooms with a swipe of a room key from their phone. Guests can download the app from the iPhone and Android app store which will also give them access to information about the local area, including nearby tourist sites, restaurants, cafes and shopping places. This information will also be available to guests from a tablet in their room, allowing them to click through access to make reservation bookings and purchase tickets to events within Sydney’s CBD and surrounding areas. 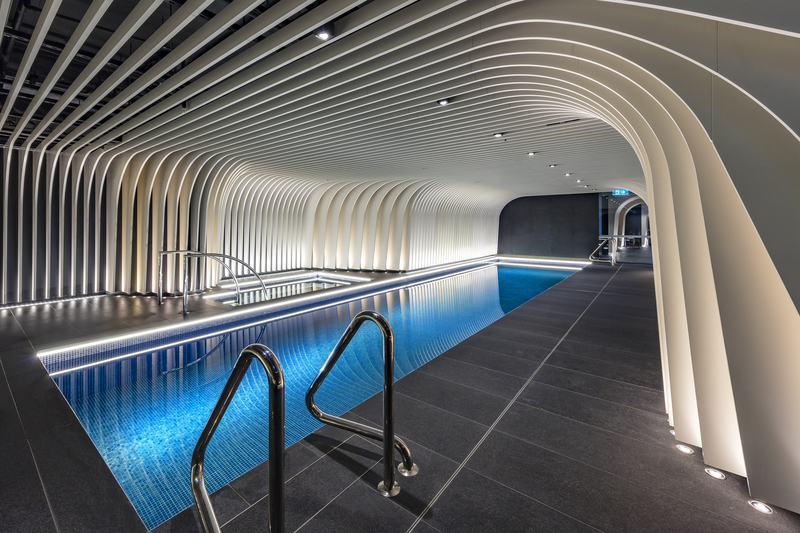 The building itself is an impressive centrepiece for Sydney’s CBD, achieved by globally renowned architect, Koichi Takada, and the development features a masonry façade podium and glazed frontage inspired by the unique character of significant heritage buildings. SKYE Suites Sydney will offer guests and Sydneysiders exceptional dining and al fresco experiences with an exciting new food hub along Skittle Lane to open in November 2018; featuring new offerings from some of Sydney’s most popular restaurants. The culinary lineup will include Japanese restaurant Izakaya and Ramen Michi from the Masuya Group, a multi-level bar and restaurant called Meu Jardim and a cafe by the Ministry of Coffee. 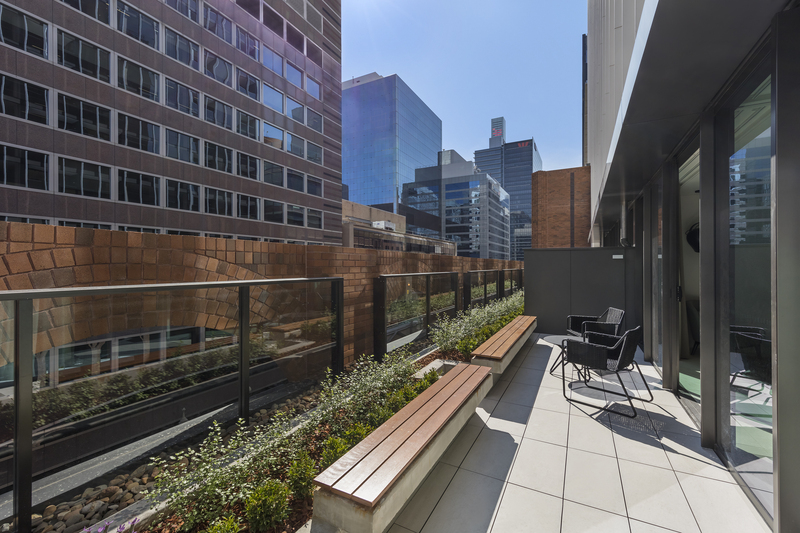 The location of SKYE Suites Sydney is within easy walking distance to the International Convention Centre, Darling Square, Barangaroo precinct and transport that connects to the rest of the city, making it the perfect base for domestic and international guests alike.